Second ever GOVES set on 28/11/2012 at the Sandbar in Manchester courtesy of the good people of ddmmyy – more information here. 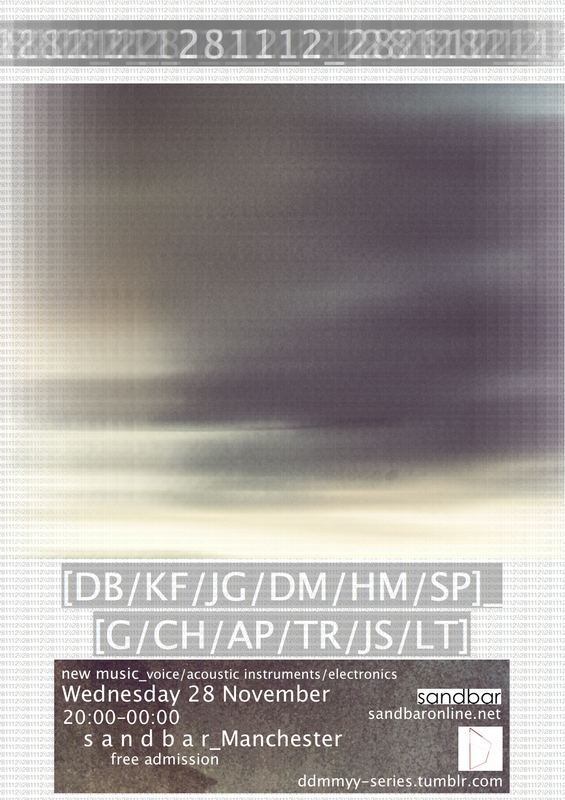 I’ll be playing a set of the upcoming ep with some new bits and piece joined on this occasion by cellist Dave McCann. We’ll also be selling some of the forthcoming GOVES ep A crèche for the lonely and peculiar ahead of its release on 2 December. There will be some CD and vinyl copies. I’ll write more on the EP in another post soon. I hope to see you there. There are some great sets and DJing in this supremely relaxed and excellent bar.